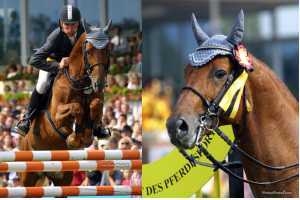 Hey, this good German horse does show-jumping by day, and stands in as Brunhilde's understudy by night. A bit more vocal training, and we might really have something here! Congratulations to Ludger Beerbaum, who won the Internationals at Spruce Meadows today on the understudy to this horse.